Get a free consultation about your particular case by getting in touch with our experienced premises liability lawyers in Utah. Call the Jardine Law Offices, P.C., at 801-350-3506 or complete this contact form for a free case evaluation. Each year, Americans make about 8 million emergency room visits after slip and fall accidents. And not all of these slips, trips and falls are caused by negligence. Rather, victims of slip and fall accidents are often to blame for their own injuries. The legal success of your premises liability claim and financial compensation hinges on determining liability in your particular accident. That is why consulting with a Salt Lake City slip and fall accident attorney is vital in order to not only calculate the full value of your damages and losses, but also determine the cause of the accident. The property owner, occupier or employee should have been reasonably expected to be aware of the dangerous condition because it existed for too long, it was too obvious or unavoidable, or for other reasons. Juries and judges in Salt Lake City and all across Utah are usually guided by common sense when it comes to litigating premises liability cases, especially those involving the words “should have known” in its causation. 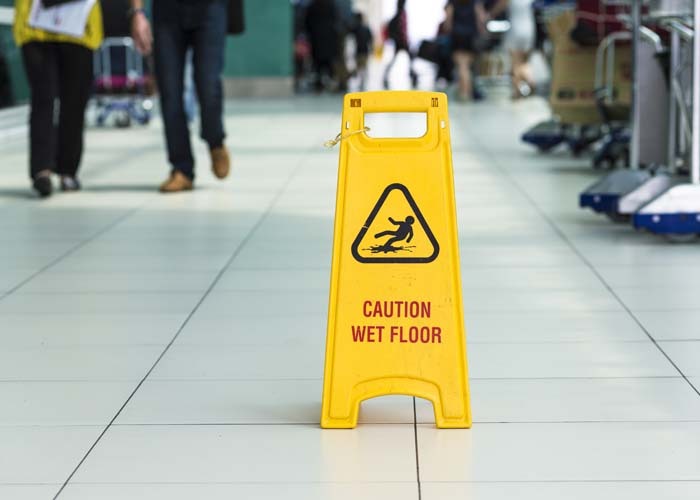 Our best premises liability attorneys in Utah at the Jardine Law Offices, P.C., explain that people often do not realize how the “reasonableness” is measured in slip and fall cases. A premises liability claim involving negligence most often depends on the property owner, occupier or employee’s reasonableness, which can be subjective in many cases. That is why it is highly advised to be legally represented by an experienced slip and fall accident attorney in Salt Lake City in order to build a strong legal case and convince the court that the property owner was reasonably expected to prevent, fix, repair or remove the dangerous condition before the accident occurred. If it is impossible to prove that it was negligence on the part of the property owner, occupier or employee that caused the slip and fall accident, the court might shift the blame onto your own carelessness. More often than not, carelessness can serve as the secondary cause of a slip and fall accident. But when carelessness is determined to be the sole cause of a premises liability accident, the injured party will have a hard time recovering compensation for his or her injuries, damages and losses. If your carelessness contributed to the accident but negligence on the part of the property owner also played a role in causing it, you may still be entitled to recover damages because Utah uses the rules of comparative negligence in personal injury cases, allowing victims of accidents to recover compensation proportional to their own level of negligence or carelessness. Did you have a legitimate reason to be where the dangerous condition was? Could a careful person be reasonably expected to notice the dangerous condition and avoid the accident? Were there any warnings of the dangerous condition? Were you paying 100 percent of your attention to where you were going or can you say that you were partially or fully distracted from paying attention? Give yourself an honest answer to determine liability in a slip and fall accident, because you will most likely be asked the same questions over and over again by the property owner, his/her insurance company, juries, judges, your own insurer, and many others.